Dr. Watson’s therapist turned out to be the secret sister of Sherlock Holmes. 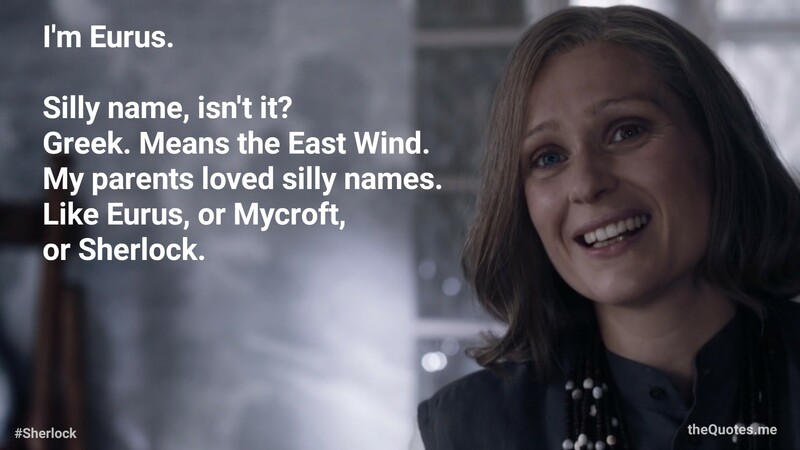 Eurus: Silly name, isn’t it? Greek. Means the East Wind. My parents loved silly names. Like Eurus, or Mycroft, or Sherlock. Eurus: Oh, look at him. Didn’t it ever occur to you, not even once, that Sherlock’s secret brother might just be Sherlock’s secret sister?